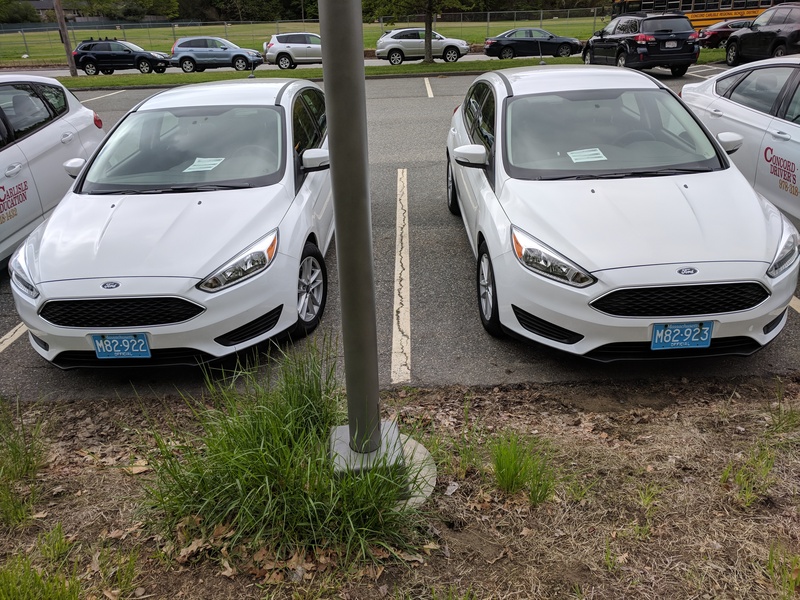 Our new Drivers Ed cars are here! We’re installing the instructor breaks and putting on signs, but they will be ready for you to drive very soon! Don’t forget – we are here all summer with classes and driving lessons. June 25th-29th, 9 am – 4 pm, – FULL! If you already took the class and are ready to schedule your driving lessons, visit Schedule2Drive to get started. Contact Rebecca or Jill with your permit number, date of issue, and full legal name on your permit to get your account set up. Please remember: your first 6 lessons should be 1 hour driving and 1 hour observation. Once those are completed, you can sign up for 2 hour driving. If you have any questions or can’t find what you are looking for. For instance, are you looking for a 2 hr block of driving, but only see 1 hr drive and 1 hr observation? Talk to us! Call, email or stop by! Looking to book a practice road test or have us sponsor you for a road test? Contact us! Click here to view class dates for the 2018-2019 academic year. Registration will open for these dates on July 1st.